Let’s say it all together as a group, folks. 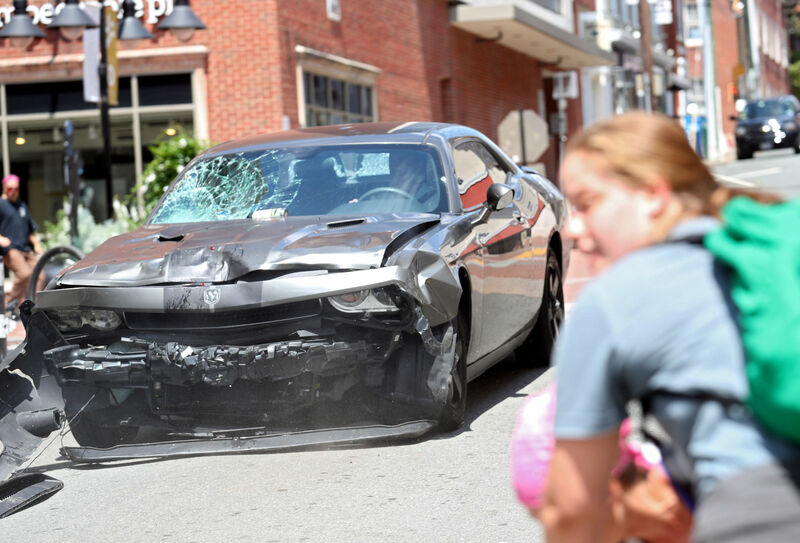 You cannot credibly blame both sides for the violence in Charlottesville, Virginia two weeks ago. After all, one of those sides was made up almost entirely of racists, white supremacists, and neo-Nazis. Conservative commentator John Podhoretz probably said it best–even if there was violence on the part of the counter-protesters, “they were not the causes of the agitation.” Plus, lest we forget, counter-protester Heather Heyer was murdered in cold blood when a white supremacist plowed his car into a crowd of counter-protesters. However, if there is any doubt that the racists and neo-Nazis bear responsibility for the violence, it was erased when the independent media collective Unicorn Riot obtained screenshots from a chat room frequented by those attending the “Unite the Right” rally. They prove conclusively that a significant element among those attending the rally was actively spoiling for violence. Unicorn Riot is best known for documenting several Black Lives Matter protests, and was also one of the earliest media groups on hand for the Dakota Access Pipeline protests. Since August 14, it has been dribbling out screenshots from the “Charlottesville 2.0” chatroom, which was operated by Jason Kessler, Eli Mosley, and other rally organizers. According to Wired News, Unicorn Riot has obtained about 1,000 screenshots documenting several months worth of chats. The chatroom was hosted on Discord, which shuttered it along with several other far-right chatrooms after the rally. Watch a video mashup of some of the screenshots here. As you might expect given the nature of this crowd, these chats make for horrifying reading. For instance, as early as a month before the rally, several users were discussing the legality of running over counter-protesters with cars. That anecdote alone should leave no doubt that these people were thugs. But there’s more. For instance, several participants were discussing whether to target Quakers. A number of them still wanted to march after word got out that Heyer was dead–at the hands of one of their own, James Fields. Other screenshots showed users actively planning to attack counter-protesters. Specifically, they discussed putting screws into flagpoles and having concealed firearms at the ready for “gunfights.” Speaking of guns–several users posted pictures of themselves posing with them. It’s a safe bet that federal and state investigators looking into Heyer’s murder will be very interested in those screenshots as well. Remember, Attorney General Jeff Sessions believes that the car attack meets the legal definition of domestic terrorism. If that car attack is ultimately found to be terrorism, Fields would face only two possible sentences at both the federal and state levels–life in prison or death, but preferably life. Hopefully Unicorn Riot has forwarded these screenshots to authorities. They could provide a very strong incentive for Fields to cooperate. Just before the close of business on Friday, House Republicans reportedly drafted a resolution that blames “the Ku Klux Klan, neo-Nazis, and others” for the violence in Charlottesville. The House Democrats have already let it be known that language is a non-starter. Anyone who looks at Unicorn Riot’s work will come to the same conclusion. They prove not just beyond reasonable doubt, but beyond ALL doubt, that the racists bear sole responsibility.